This collection was just released today. Interestingly, I sat on the release of this collection for three years. First, most of my readers know me as a writer of fantasies that are driven by plot and atmosphere or humor that is deliberately sophomoric at best. This collection of dark fantasy is going to catch a number of readers by surprise as some of these tales are truly, truly dark. Finally, twice in this collection I use strong language and I have debated its use in those two instances for years. Ultimately, I have decided to retain its use simply because there are times one's literary characters are going to say something much stronger than 'Gee willikers!' Anyway, in The Pig, I use the word 'damn' in its accurate definition as referring to the title creature as accursed. In The Pond, I use a stronger version invoking the Deity because I wanted to strongly convey the personality and attitude of one of my characters and give another reason for her fate (one of the darkest pieces I have ever written). In an age where the F-bomb is used as a verb, noun, pronoun, adjective, adverb, preposition, conjunction, and interjection some will think me too scrupulous, but I do not use strong language in real life and as a writer and public speaker, to me words are building blocks. I try to use them with some care. 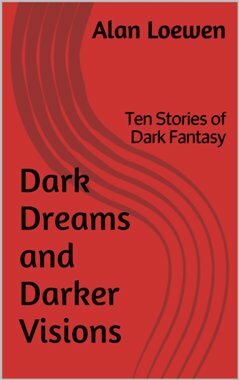 Nonetheless, if your tastes run to the dark side, these ten tales may tickle your fancy. However, be warned that they also bite. Well, I just bought my copy. I think I've read these before but not all together.